Abstract: Software testing is a pervasive activity in software development. Testing is widely used to reveal bugs in real software development and is also an expensive task. Testing is expensive due to the fact that it takes very long time to execute the whole test suite. The initial test suite is very large in size and has redundant test cases. So it is necessary to apply some selective techniques in order to reduce the large size of the initial test suite to a manageable size and make it feasible for practical execution. In this study, Hierarchical clustering approach is presented and implemented on the initially generated test suite in order to reduce its size and partition it, into a fixed number of clusters. Here, a branch coverage criterion is selected as the code coverage criteria and for the determination of the number of clusters. Keywords: Software Testing, Test suite Minimization, Data Clustering, Hierarchical Clustering. 1. Smith, A., Geiger, J., Kapfhammer, M. and Soffa, M. (2007), Test suite reduction and prioritization with call trees, in Proceedings of the twenty-second IEEE/ACM international conference on Automated software engineering (ASE '07), 2007, pp. 539-540. 2. Parsa, S., and Khalilian, A., (2010), On the optimization approach towards test suite minimization, International Journal of Software Engineering and its applications, Vol. 4, No. 1, January 2010. 3. 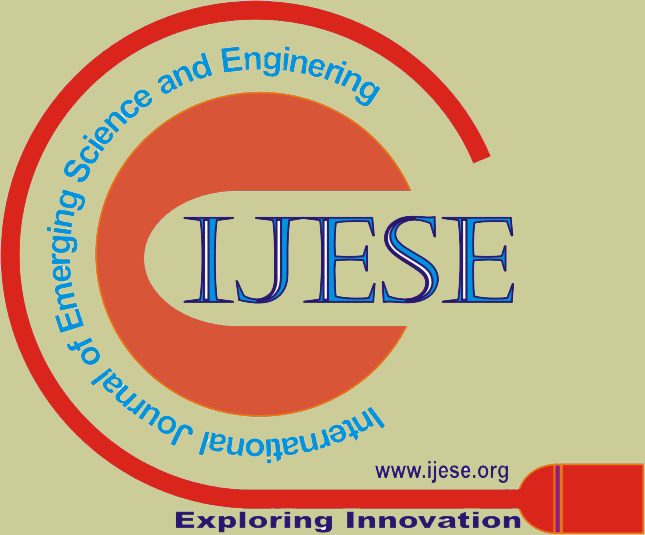 Selvakumar, S. and Ramaraj, N., (2011), Regression test suite minimization using dynamic interaction patterns with improved FDE, European Journal of Scientific Research, 2011, Vol. 49, No. 3, pp. 332-353. 4. Hsu, H. and Orso, A., (2009), MINTS: A general framework and tool for supporting test suite minimization, International Conference on Software Engineering (ICSE ‘09), 2009. 5. R.V Binder. “Testing Object-Oriented Systems Models, Patterns, and Tools”. Object Technology Series. Addision Wesley, Reading, Massachusetts, October 1999. 6. Tallam, S. and Gupta, N. (2005), A concept analysis inspired greedy algorithm for test suite minimization,in Proceedings of the 6th ACM SIGPLAN-SIGSOFT workshop on Program analysis for software tools and engineering (PASTE '05), 2005, pp. 35-42. 7. Chen, Z., Xu, B., Zhang, X. and Nie, C., (2008), A novel approach for test suite reduction based on requirement relation contraction, in Proceedings of the 2008 ACM symposium on Applied computing (SAC '08), 2008, pp. 390-394. 8. Yevtushenko, N., Cavalli, A., and Anido, R., (1999), Test Suite Minimization for Embedded Nondeterministic Finite State Machines, in Proceedings of the IFIP TC6 12th International Workshop on Testing Communicating Systems: Method and Applications, 1999, pp. 237-250. 10. N. Mansour, K. El-Fakih, Simulated annealing and genetic algorithms for optimal regression testing, Journal of Software Maintenance 11 (1) (1999) 19–34. 11. Jain. Data clustering: 50 years beyond k-means. Pattern Recognition Letters, 31(8):651– 666, 2010. 12. Dibya Jyoti Bora, Anil Kumar Gupta,” A Comparative study Between Fuzzy Clustering Algorithm and Hard clustering Algorithm”, International Journal of Computer Trends and Technology (IJCTT) ,volume 10 number 2 – Apr 2014,pp. 108-113. 13. Khan, A.K.Gupta, D.J.Bora, Profiling of Test Cases with Clustering Methodology, .International Journal of Computer Applications 106(14):32-37. 14. Richard C. Dubes and Anil K. Jain, (1988), Algorithms for Clustering Data, Prentice Hall. 15. L. Kaufman and P. J. Rousseeuw, (1990), Finding Groups in Data: an Introduction to Cluster Analysis, John Wiley and Sons. 16. D.S. Johnson, Approximation algorithms for combinatorial problems Journal of Computer and System Sciences 9 (3) (1974) 256–278. Abstract: The article examine more important problems stand against Social Geography for resolving in Bulgaria. There are reported as scientific problems and their educational aspects. These ones marked are only a part of wide field of Social Geography. It stressed on their social importance. Keywords: geography, problems, development, investigation. 10. Temple, C., K. Meredith, and J. Steele). Teaching Students to Think (tentative title). Santa Barbara, CA: Corwin Press. Abstract: In this project, Analysis of Tubular tall building has been done using ETABS. It has been presumes that, the only periphery Columns essentially take part in resisting Wind & Earthquake forces and the interior columns transfer gravity load to foundation. This assumption work fairly well in resisting forces. When the outer tube is subjected to Wind & Earthquake forces the flange columns experience the shear lag phenomenon. Also, in this research, we tried to study the maximum deflection & Inter-storey drift, of the tube without and with shear wall and other patterns of shear panels. It has been observed that more shear panels did not cause necessarily displacement of structures but the type of arrangement had important criteria as well. Keywords: Concrete frame, Shear lags Phenomenon, Lateral Displacement, Shear panel. 1. Khan FR. Tubular structures for tall buildings. Handbook of concrete engineering. New York: Van Nostrand Reinhold Co: 1974. 2. Kang-kun Lee, Yew-Chaye Loo Journal of Structural Engineering Vol. 127, No. 24, April 2001. 3. Singh Y, and Nagpal, A. K. (1994): Negative shear lag in framed-tube buildings. J. Struct.Engrg., ASCE, 120(11), 3105-3121. 4. A.Coull, and N.K Subedi. Framed tube structures for high rise buildings, J. Struct. Div. ASCE, 97,2097-2105,1971. 5. Journal of Structural Engineering. Vol. 120, No. 9-11, 1994, P. 3105, Negative shear lag in Framed tube structures. 6. Rutenberg, A., "Analysis of Tube Structures for High-Rise Buildings", Proceedings of the 22nd National/Regional Conference on Tall Buildings, Asian Institute of Technology, Bangkok, Thailand, Jan. 1974, pp. 397-413. 7. Yesh K. Jian & S. Mandal (2014). “Case studies on shear lag effect in tubular structures under wind load.” VI National Conference on Wind Engineering. 8. G. J. Singh, S. Mandal & R. Kumar (2013). “Effect of column location on plan of multistory building on shar lag phenomenon.” APCWE VIII. 10. Abolfazl Shamsai, Loghman Rahemi, Kamal Rahmani and Saber Peroti (2012): “Arrangements of Shear Walls in Control of Lateral Displacement of Concrete Frames”. Middle-East Journal of Scientific Research 11 (7): 943-949, 2012, ISSN 1990-9233. Abstract: The purpose of this research is to review the use of social networks and its negative effect among students especially college and university students while on the study. Social networking is an interconnected system through which alliances are formed, help is obtained, information is transmitted, and actions taken to achieve certain results. Electronic communication is emotionally gratifying but how do such technological distraction impact on student’s academic performance and also health threat? Because of social media platform’s widespread adoption by students, there is an interest in how social network (especially Facebook) is related to academic performance and health. Today social network sites are running the future and carrier of students. Social network sites were only an electronic connection between users, but unfortunately it has become an addiction for students. This paper examines the negative effects of social networking on student’s academic performance and health threats. 4. Dwyer, C., Hitlz, S., & Passerini, K. (2007). Trust and Privacy Concern within Social Networking Sites: A Comparison of Facebook and MySpace’, paper presented at proceedings of the 13th Americas Conference of Information Systems. Fenichel, M. (2009). Facebook Addiction Disorder (FAD. Retrieved from http://www.fenichel.com/facebook.shtml, Fletcher, D. (2010). Facebook without Borders’. Time, pp. 22-24. 5. Grifiths, M. (2010). Internet abuse and internet addiction in the workplace. The Journal Of Workplace Learning, 22(7), 463-472. 7. Junco, R., & Cotton, S. (2012). The relationship between multitasking and academic performance. Computers & Education, 59(4), 1-10. 8. Junco, R. (2011). Too much face and not enough books: The relationship between multiple indices of Facebook use and academic performance. Computers In Human Behavior, 28(1), 187–198. 9. Kandell, J. (1998). Internet addiction on campus: The vulnerability of college students. Cyber Psychology & Behavior, 1(1), 11-17.